This graceful native of the Pacific coastal region needs protection and care in hot inland valleys, but is well worth the careful placement. It grows moderately fast and tolerates, even prefers, some shade, and requires moist but well-drained soil. Densely pyramidal with soft, graceful, blue-green foliage, it can be placed where it will be admired as a specimen, or it can be planted closely for a graceful, decorative screen or hedge. 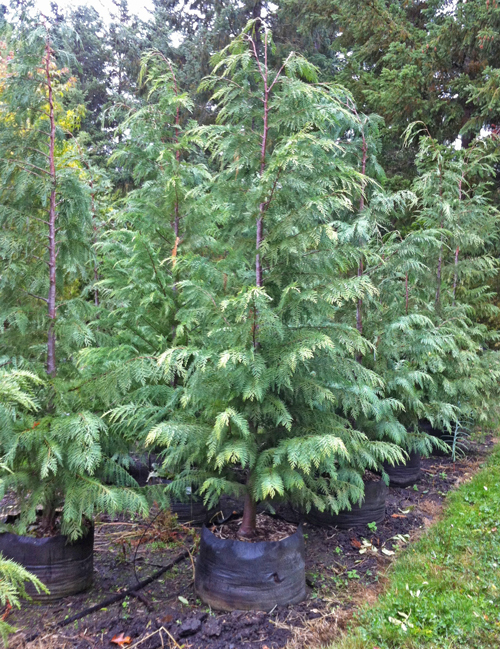 Conifer Size 2 gallon5 gallon10 ft.12 ft.